An actual guide to make sure you don’t waste all your time and money when in the Land of Smiles. Everybody’s favourite long-weekend, annual shopping spree destination. Don’t you just love that feeling of converting your money and counting all the glossy, polymer Thai baht banknotes you’ve just received? 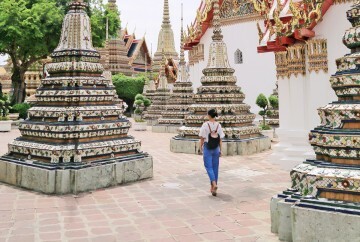 For the first in a long time you feel rich, and you anticipate being able to splurge as much as you want on cheap tuk tuks, Thai massages and mango sticky rice. A worry-free holiday indeed. But wait, your mom keeps nagging at you to be wary of your belongings, and to not talk to or follow any strangers. Scams? 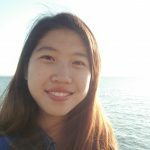 You just roll your eyes at her – surely it’s not that easy to get scammed. Before you start nagging back at her, you wonder…what would you possibly have to do to fall victim to all these notorious ‘Bangkok scams’? 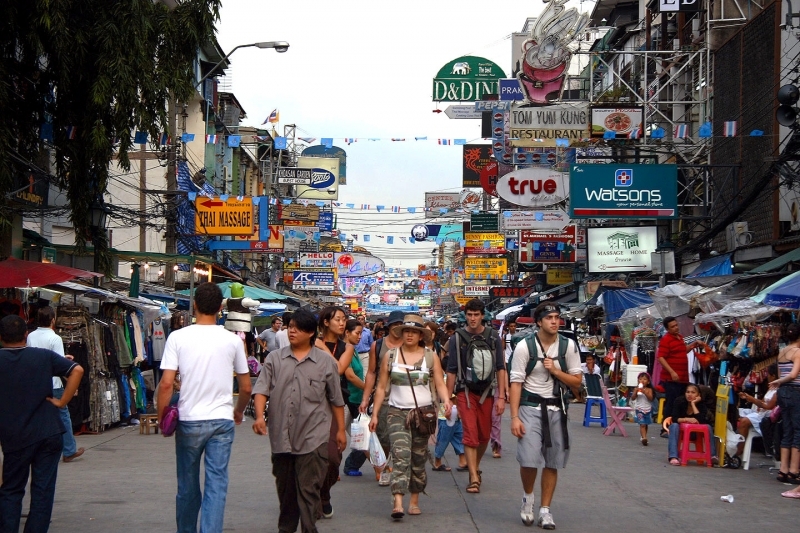 So this is it, the guide to getting scammed in Bangkok! 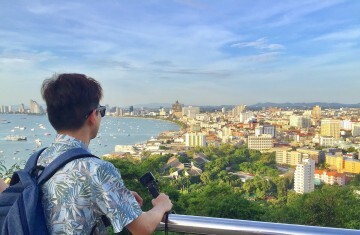 If you do these five things when in the capital of the Land of Smiles, there’s a high chance that you’ll end up having wasted half your vacation time and have no money or valuables left. Proceed with caution. When ‘friendly’ tuk tuk drivers approach you to warn you about the Grand Palace being closed for insert-generic-but-logical-reason, believe them! 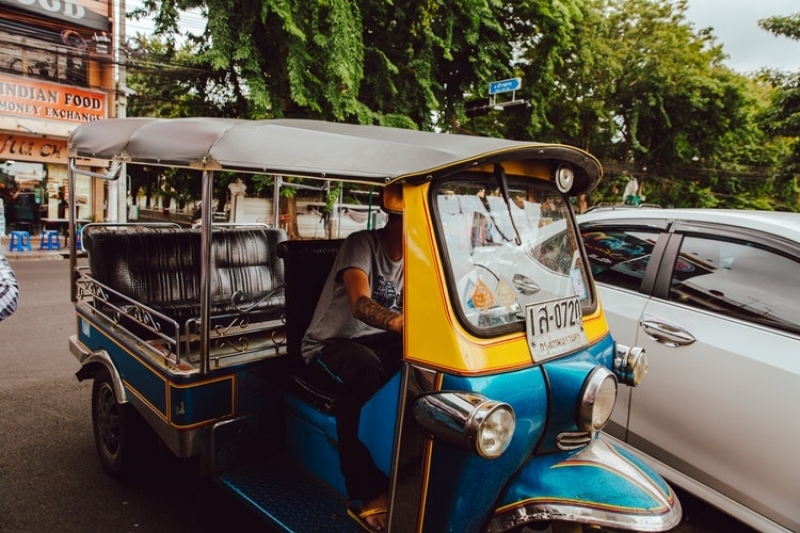 Even though you have already checked multiple times on Google that the palace is open, just trust these strangers and hop onto their tuk tuks to be taken on some other adventure around Bangkok. Afterall, you have the money to spend, and you didn’t really want to visit the Grand Palace from the beginning, did you? 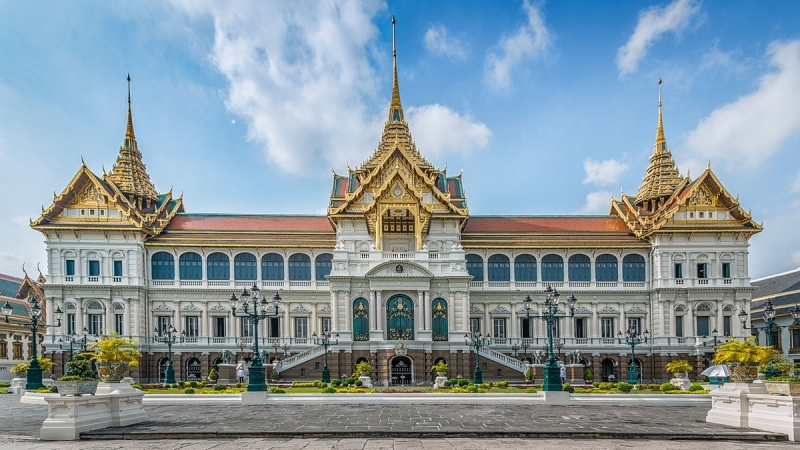 But really: The Grand Palace is open daily from 8.30am – 3.30pm, and is only really closed on very, very few occasions. If you have already made the effort to travel to the place, don’t let a little doubt keep you from taking a few more steps towards the ticketing counter, and making that confirmation for yourself. These ‘kind-hearted’ tuk tuk drivers just want to earn a quick buck by taking you somewhere else, and depending on where they choose to drop you off, may be involved in another scam altogether. One of the most quintessential experiences of being in Bangkok is to hop on a tuk tuk, and zoom past all the other cars caught in traffic. It’s fast, relatively inexpensive, and the driver always seems so friendly to you and your friends. Since you want to chill at the back and not have to worry about where you are going, just let the tuk tuk driver plan your entire itinerary – maybe he’ll take you to a boutique tailor (that he insists has the best deals! ), a dubious gemstone shop (more on that later), or even to Sombondee Seafood Market instead of the authentic Somboon Seafood. You don’t have to pay any attention to where you’re going at all, just let him lead the way! And at the end of it, when he asks for extra tips or gas money, you’ll be happy to give it all. He was so helpful after all. But really: Although you do deserve to let your hair down and relax while on holiday, do pay attention to your surroundings and not let the tuk tuk drivers take you on a wild ride around Bangkok. Not all drivers are malicious of course, but many of them are involved in a scam to take unsuspecting tourists to various shops to earn a commission. Certain food shops and hotels also have names that are extremely similar to larger and more renowned establishments (Sombondee is the rip-off of Somboon! ), and tuktuk drivers will take advantage of this to lead you to the wrong place. Do proper research to finalise the actual names and addresses of the places you want to visit. If you can, check your GPS from time to time to ensure that you’re on the right track to your desired destination. Also, agree on the location and price of the journey with the driver before commencing the journey, and not let him demand an exorbitant fare at the end of it. Let’s say you do just follow your tuktuk driver’s recommendations, and find yourself in front of a gem shop. Even though you had no intention to buy expensive jewellery on your trip, you enter the premises and are quickly attended to by a well-dressed salesman. He congratulates you on your luck for coming on a day that tourists enjoy a ‘special tax break’, and proceeds to introduce their bestsellers. You are convinced by the wide array of gems in the shop, and think that with this bargain price, you will be able to make great profits if you resell these gems. He’ll even offer to ship them back to your home country so you can enjoy more tax reliefs; what a lucky break indeed! So just shelve out half of your entire trip budget, leave with nothing but receipts, and get back onto the tuktuk that you came from. You’ll find the driver smiling even more brightly than before. But really: Do not buy anything from these shops! Despite how professional the ‘Government Export Center’, ‘Gem Warehouse’ or ‘Gem Educational Center’ may look and sound, they are not selling genuinely valuable gems, and their ‘shipping service’ is just to prevent you from getting the stones appraised before you leave the country. Sometimes the shop will seem lively and the presence of other tourists may put you at ease, but they have either been paid to loiter there or are also being sucked into the scam. If you do have a real interest in buying gems, check out the Thai Gems & Jewelry Trader Association and its listed members to make your purchases from credible jewellers. Don’t end up spending your money on worthless stones! 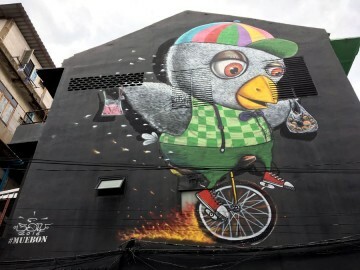 As you stroll along the streets and alleys of Bangkok, you will notice that things are not always the most pristine. There may be litter on the ground, and your feet may get wet from splashing on the puddles that have accumulated in the potholes before you. Sometimes, you may even experience the sensation of something dripping on you – was it water from the air-conditioning units above you? Or did a bird do its business over you? Whatever it is, you hate it, so you make a big fuss and someone suddenly approaches with a towel to help you clean up. How kind! But really: Commonly referred to as the ‘birdshit’ scam, displays of kindness to help clean up may not be as altruistic as you think. These people may have used you as target practice and while helping you clean the mess they caused, are simultaneously helping to wipe you of your belongings as well. To not end up being pickpocketed of all your valuables, make sure you keep them in a less accessible area of your bag, and keep your own tissues or wet-wipes at hand to clean yourself up. 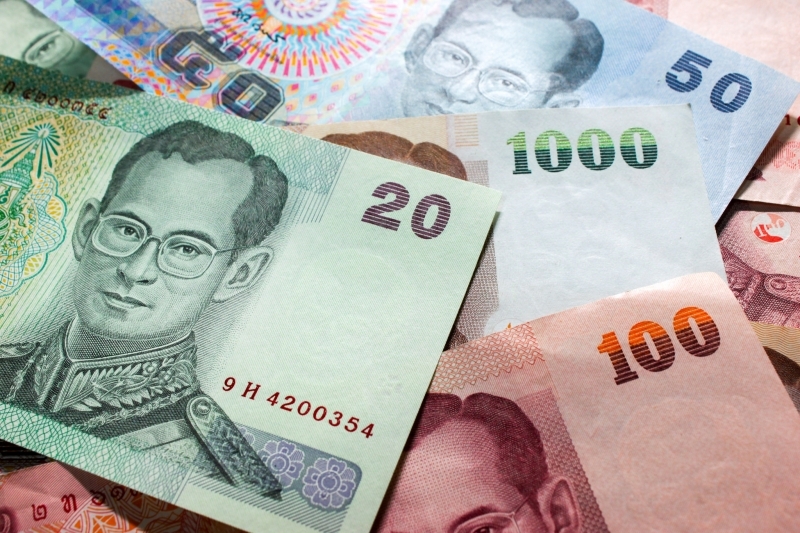 As mentioned before, we all love the feeling of holding a wad of crisp, Thai baht in our hands. We also love being able to spend this money, and hand note after note to the shopkeepers in return for our goods. Sometimes, the shopkeeper may leave with your note to ascertain its authenticity, and then come back to tell you that it is counterfeit! He’ll then return it to you, and demand for payment again. Even though you received this Thai baht from the trusted money exchanger that you’ve gone to for years, you take your fake money back and hand in another note. How embarrassing. But really: When the shopkeeper first leaves with your money, he is actually swapping your genuine note with a counterfeit one. He’ll then return this fake money, and ask for another note. This actually means that you end up paying twice! It can be difficult to discern the legitimacy of your own money, but there are a few things you can do to prevent overpaying for things. Trust your money exchanger, don’t let the shopkeeper (and your original note) out of sight, and take note of the serial numbers of your big notes before you hand them over (just to make sure that if you get anything back, it is the same note at least). This tends to happen for notes of higher denominations, so be extra mindful when using them. With all this being said, it actually does not sound too hard to fall victim to any one of Bangkok’s top scams. All you have to do is let your guard down, and trust the people that seem just a little too friendly. Of course, it does not mean that you should be skeptical of everyone who offers you help, or doubt if all the tuk tuk drivers are just out to get your money. The Thai community is generally warm towards tourists, and you can always contact the Thai Police or other useful tourist hotlines if you need any help. Remember, the actual goal is to not get scammed. Just make sure you have done your due research and remain alert, and you’re all set to go! 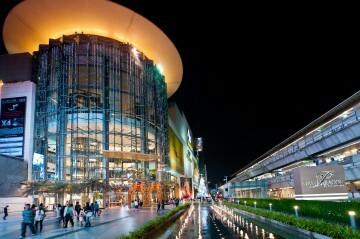 These are the reasons why everyone can't resist burning holes in their wallets when in Bangkok.